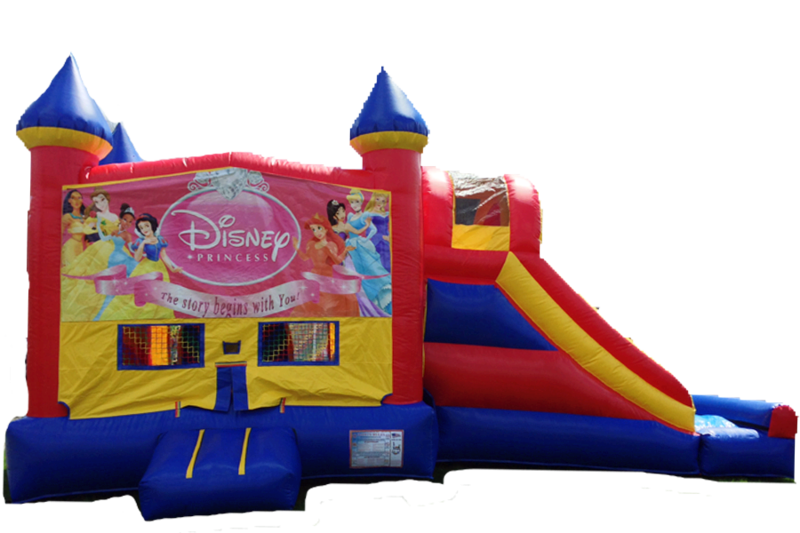 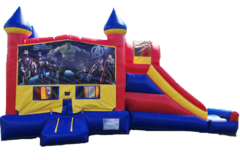 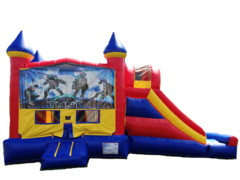 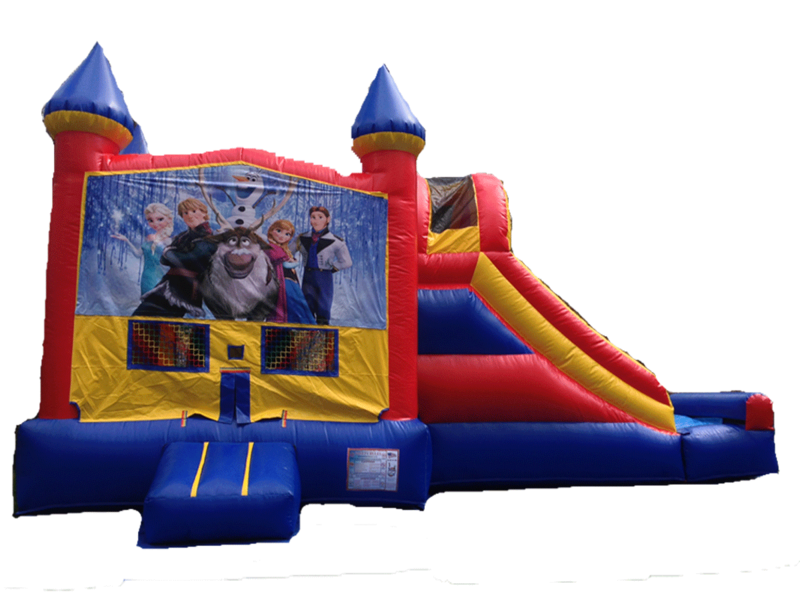 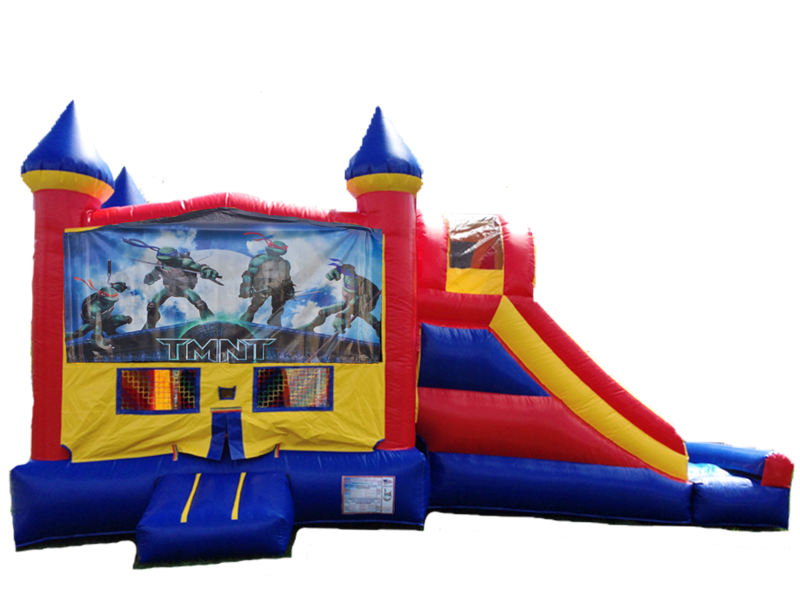 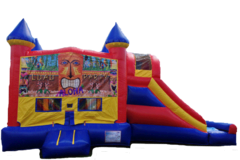 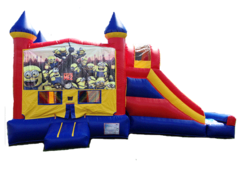 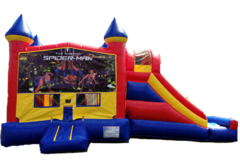 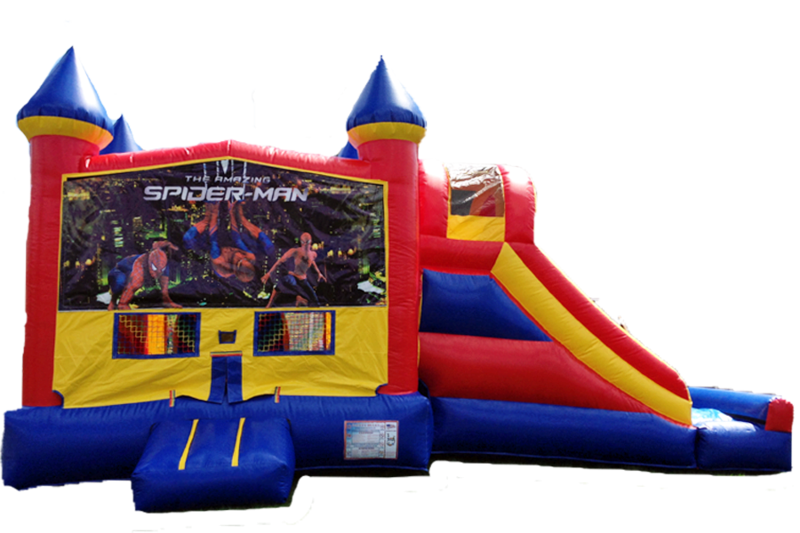 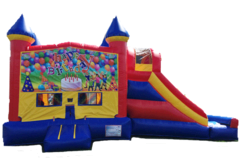 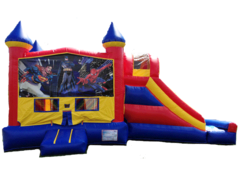 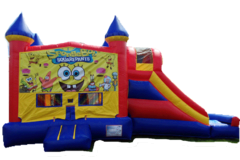 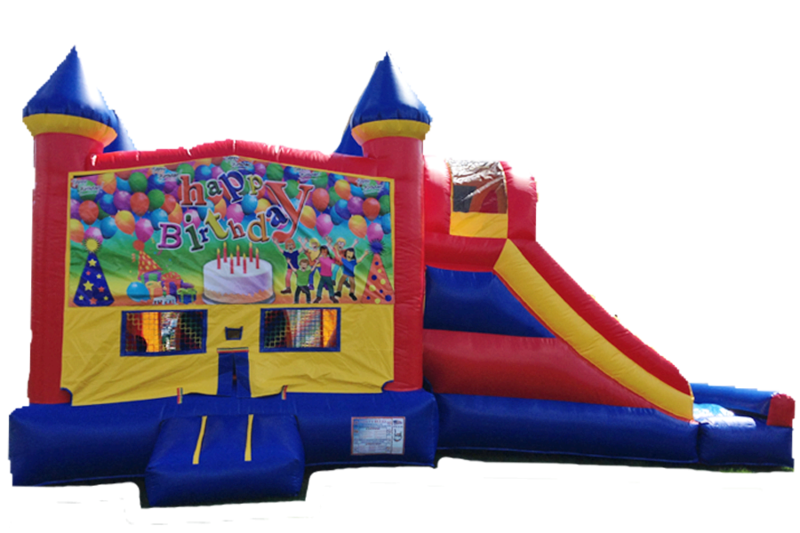 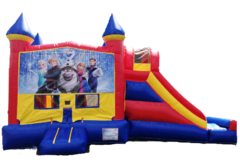 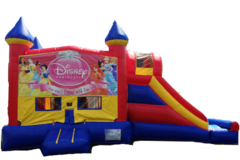 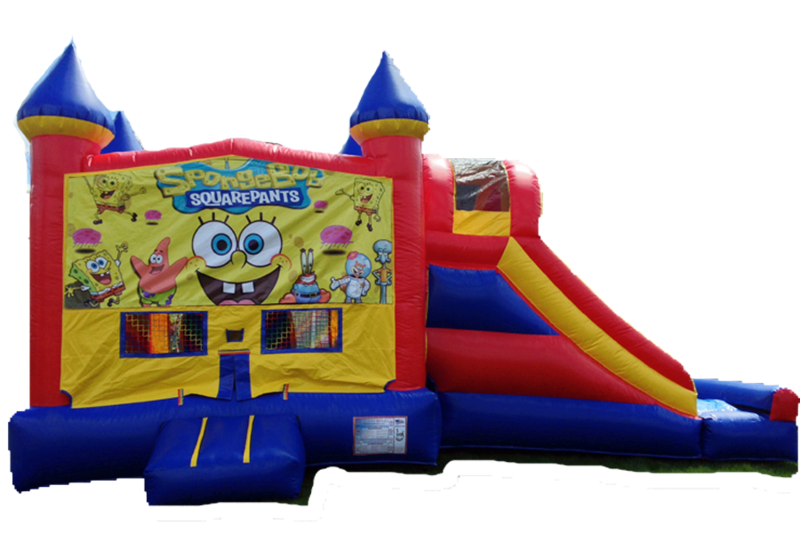 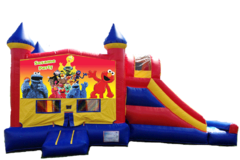 Finest combo bounce houses in town, available for parties, school fundraisers. 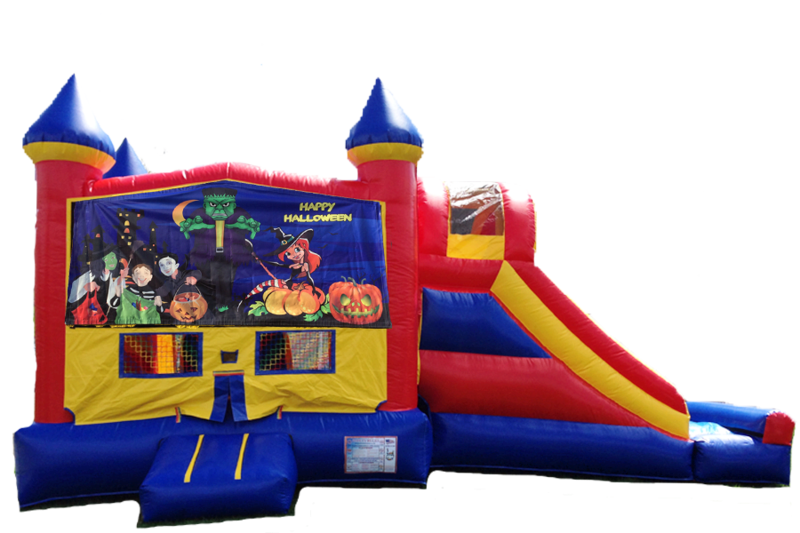 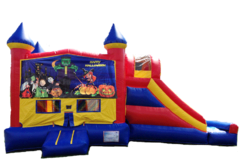 See our new Halloween bouncy castles! This 5 IN 1 combo bounce has a basketball hoop inside, pop ups, and a climb and slide! 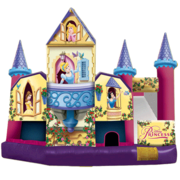 Not only will your little pricess love this one, this unit has great features inside to keep all kids including boys so busy they'll forget all about the princesses on the outside! Inside there is a basketball hoop, pop ups, a double rail to climb over and a stairs to a slide! 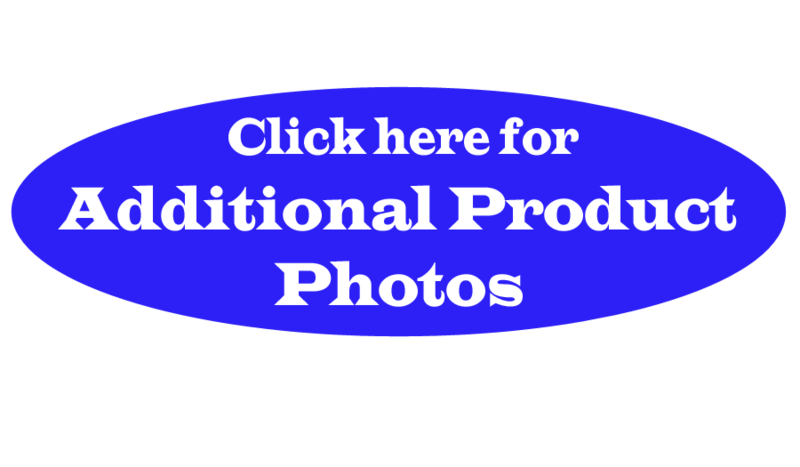 Click on the "Additional Product Photos" tabs to see the inside diagram. 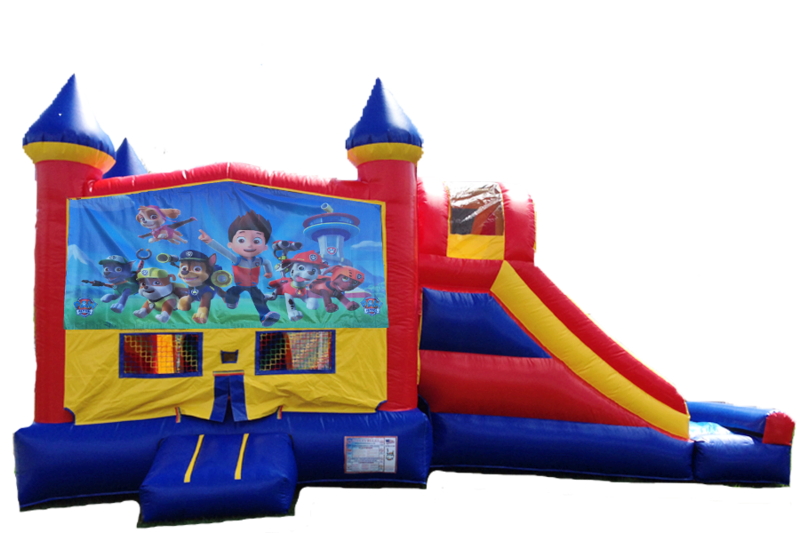 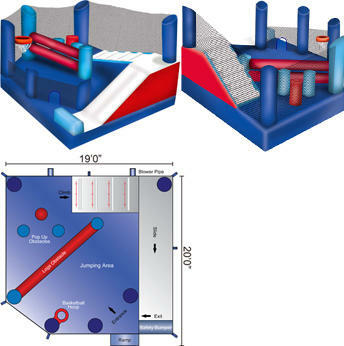 This 5 IN 1 combo bounce has a bouncing area ,basketball hoop inside, pop ups, a climb and slide!